According to a new report, a Florida-based man has become the first person in what is likely to be a long line of individuals looking to sue Samsung over the Galaxy Note 7. Jonathan Strobel was presumably the happy owner of a Galaxy Note 7 until it burned a hole through the front pocket of his trousers, resulting in second-degree burns on his right leg, prompting him to take legal action against Samsung, amidst a handful of similar incidents of the phablet combusting spontaneously. 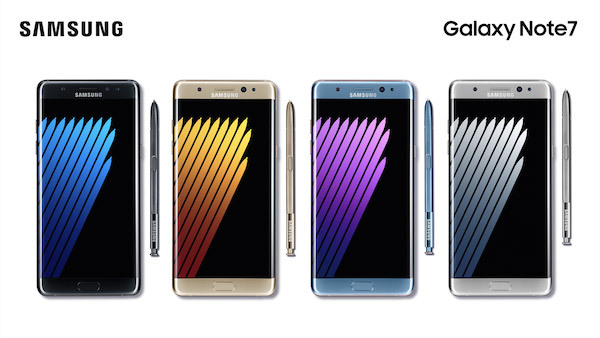 It’s probably fair to say that Samsung will so far consider the Galaxy Note 7 to be nothing short of a disaster. 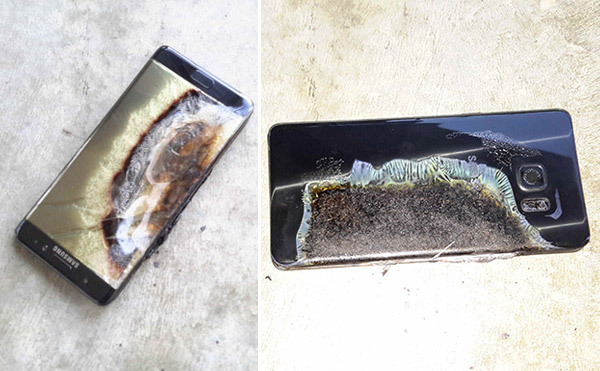 After initially having high hopes for the stunning 5.7-inch phablet, the device has been the subject of what appears to be never-ending reports about defective battery units that have either spontaneously burst into flames, or have actually exploded in terrifying fashion whilst on charge. Those issues not only resulted in Samsung issuing a worldwide product recall for the Note 7 line, but also the US Consumer Product Safety Commission (CPSC) getting involved to issue an official recall of the hardware in the United States. This latest incident to go public, which happened on September 9, has resulted in Mr. Strobel feeling like he has no other action but to take legal action after being left with second-degree burns to his thigh, as well as burns on his left thumb after trying to remove the burning device from his pocket. He has a deep second-degree burn, roughly the size of the phone, on his right thigh. Unfortunately for my client the recall came too late. In the last few weeks we have heard many stories about defective Galaxy Note 7 devices catching fire or exploding whilst on charge. The CPSC notes that Samsung has received a total of 92 individual reports pertaining to the Galaxy Note 7’s battery. A staggering 55 of those reports involved actual damage to property, including a garage and a car, and in one instance, even burning the hands of a young child. If you still own the Galaxy Note 7 we will advise you to stop using the device further and take advantage of the world-wide recall by Samsung. For information on how to claim a refund or replacement for your Galaxy Note 7, check here: Galaxy Note 7 Recall: How To Return It To Verizon, T-Mobile, Samsung, Others. This would have never happened if they had the iPhone 7. That’s so true Apple iPhone is so much better then a high priced cheaply made SamSung’s Galaxy Note 7. And it has happened when they had the iPhone 6. Just give it time. When the phone was in the pocket and it flexed. If you put a 5″+ device in a jean pocket you’re an idiot. Greed is all it is. Samsung wanted to get a device out before Apple released the iPhone 7 and didn’t test it properly. Samsung should be hauled before Congress for releasing such a dangerous device. Not in a pocket. On a plane, while charging, or multiple other times.